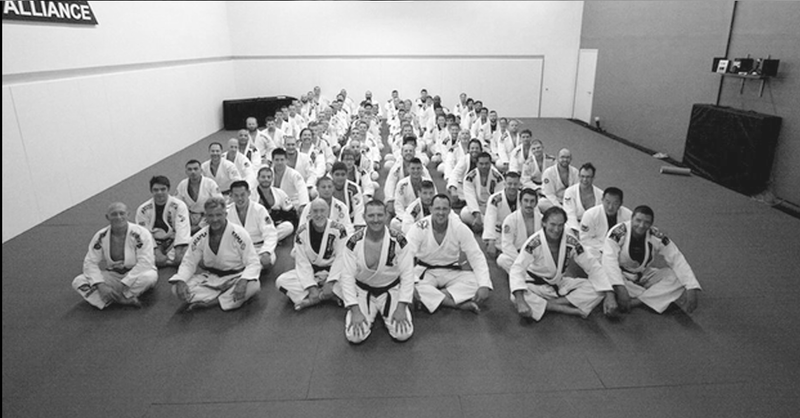 Welcome to the Minnesota home of Alliance Jiu-Jitsu, 10x World Brazilian Jiu-Jitsu Team Champions. Founded by Romero “Jacare” Cavalcanti, Alexandre “Gigi” Paiva and Fabio Gurgel. Alliance team has created a who’s who of jiu-jitsu competitors and instructors including current competitors: Marcelo Garcia, Reubens “Cobrinha” Charles, Gabi Garcia, Lucas Lepri, Sergio Moraes and many others. Alliance MN is headed by black belt instructor and competitor Damian Hirtz. Damian is proud to be a pioneer in the art of Brazilian Jiu-Jitsu in the upper Midwest and looks forward to sharing the benefits of the art with people from all walks of life. Welcome to Minnesota’s premier source for Brazilian Jiu-Jitsu. Doctors, Lawyers, Medical researchers, Graphic Designers, Students, Teachers. Some compete, some don’t, some are young, some are “seasoned”, some come twice a day, some come twice a week, Some do it for the physical challenge, some do it because it’s cheaper than therapy. Whoever you are, whatever you do, come join us, see for yourself why it’s different with the Eagle on your back.